Asahi, Pentax ME, Automatic 35mm SLR. Photograph gallery. The Pentax ME was given it's first outing in February 2010, taking the place of one of our trusty K1000s. Since it can use the same lens collection, this made it ideal. In use I found that I was often selecting the exposure compensation dial, to stop it underexposing. All three images, above, had been set to one stop overexposed. 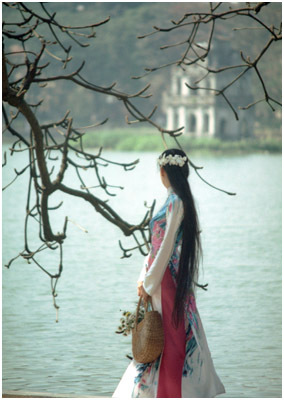 Two images show a photo shoot with a Vietnamese model by Central Lake in Hanoi, the photographer's assistant obligingly reflecting sunlight into her face in the second image, I was simply stood to one side capitalizing. 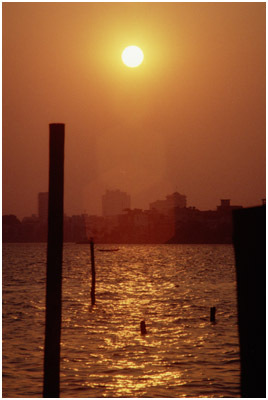 The third shot is across West lake, also in Hanoi. The magnificent Honda Cub lives on as the "Super Dream" in stupendous numbers. 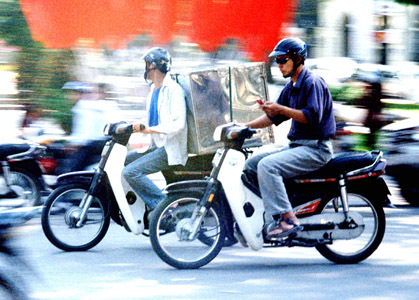 Helmet usage in Vietnam has dramatically increased, but riders aren't averse to texting whilst riding, in a previous life I was a UK motorcycle instructor. I am equally horrified and deeply impressed when I watch people texting and riding in rush hour traffic. 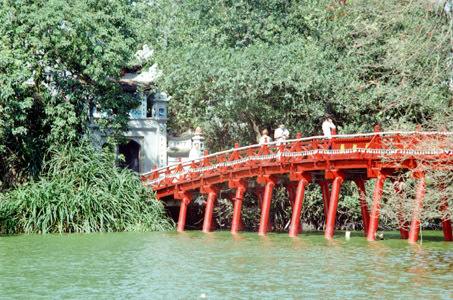 The bridge across to the island in Hoan Kiem lake, Hanoi. 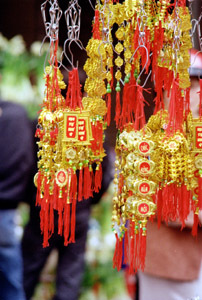 "Chuc mung nam moi" - Happy New Year, Chinese New Year that is - proclaim these tacky, if colourful, plastic greetings in a Hanoi market. 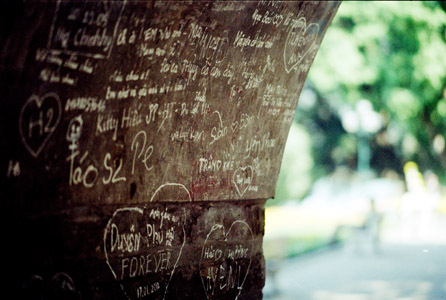 Youngsters the world over carve their messages of love into the stonework of monuments. Ironically, far from being set in stone, these marks are shallow scratches, revealing clean stone below a layer of grime.